” This holiday season, the NSA participated in a longstanding media tradition—dumping a large bit of news during a busy period of time when many likely weren’t paying attention. The US spy agency responded to a Freedom of Information Act lawsuit from the American Civil Liberties Union by quietly releasing 12 years worth of internal reports on Christmas Eve. Several included reports were previously withheld illegally, and they became the subject of the FOIA lawsuit in 2009. ” Rogue cell phone towers can track your phone and intercept your calls, and it’s only a matter of time before they’re as ubiquitous as GPS trackers. But at least now there’s a way to spot them. A firewall developed by the German firm GSMK for its secure CryptoPhone lets people know when a rogue cell tower is connecting to their phone. It’s the first system available that can do this, though it’s currently only available for enterprise customers using Android phones. GSMK’s CryptoPhone 500, a high-end phone that costs more than $3,000 and combines a Samsung Galaxy S3 handset with the CryptoPhone operating system, offers strong end-to-end encryption along with a specially hardened Android operating system that offers more security than other Android phones and the patented baseband firewall that can alert customers when a rogue tower has connected to their phone or turned off the mobile network’s standard encryption. The problem with rogue cell towers is widespread. The FCC is assembling a task force to address the illicit use of so-called IMSI catchers—the devices that pose as rogue cell towers. But the task force will only examine the use of the devices by hackers and criminals—and possibly foreign intelligence agencies—not their warrantless use by law enforcement agencies bent on deceiving judges about their deployment of the powerful surveillance technology. ” The pressure on the US government to reform the NSA’s surveillance programs is growing. Apple, Google, and Microsoft all called for change last month alongside apetition from international authors calling for an end to mass surveillance. President Obama announced big changes to government surveillance programs, but most of them centered around the NSA’s bulk collection of Americans’ phone records, not its spying on internet communications. In an open letter published on Friday, more than 50 cryptography experts are asking the US government to make more changes to protect privacy. ” The National Security Agency has implanted software in nearly 100,000 computers around the world that allows the United States to conduct surveillance on those machines and can also create a digital highway for launching cyberattacks. ” Drones can essentially conduct perch and stare missions nearly endlessly. The technology is developing even more rapidly than the military can grasp, says the director of MIT’s Humans and Automation Laboratory. In just the past two years, it seems as if drones are everywhere in the news. This technology has been around for more than 60 years, but has only recently captured both national and international attention. This is primarily because of the increasing use in the military, but also because of concerns that such technology will be turned on a country’s own citizens. The average person thinks of a drone as a flying spy camera, loitering overhead waiting to spot a target and then possibly launching a weapon when that target is labeled as a threat. To be sure, this is indeed one mission of drones, typically of organizations like the CIA. However, this is by far the least common mission. The vast majority of military drone missions today are data and image collection. Their ability to provide “situational awareness” to decision makers on the ground is unparalleled in military operations since drones can essentially conduct perch and stare missions nearly endlessly. This is why their use and demand from the trenches has been so high – they provide an ability to watch as events unfold, providing some clarity to the fog of war, which is the Achilles Heel for military leaders. However, in the very near future, these intelligence surveillance, and reconnaissance (ISR) missions will be dwarfed by other uses of drones in operations inconceivable to most military personnel today. ” Not limiting their activities to the earthly realm, American and British spies have infiltrated the fantasy worlds of World of Warcraft and Second Life, conducting surveillance and scooping up data in the online games played by millions of people across the globe, according to newly disclosed classified documents. Fearing that terrorist or criminal networks could use the games to communicate secretly, move money or plot attacks, the documents show, intelligence operatives have entered terrain populated by digital avatars that include elves, gnomes and supermodels. The spies have created make-believe characters to snoop and to try to recruit informers, while also collecting data and contents of communications between players, according to the documents, disclosed by the former National Security Agency contractor Edward J. Snowden. Because militants often rely on features common to video games — fake identities, voice and text chats, a way to conduct financial transactions — American and British intelligence agencies worried that they might be operating there, according to the papers. ” New revelations that the U.S. has been eavesdropping on world leaders like German Chancellor Angela Merkel aren’t simply straining Washington’s relationship with Berlin. They’re also sparking an increasingly public fight between the State Department and the NSA, with the nation’s spies and the nation’s diplomats trading shots about who’s responsible for the mess. “This is a pretty serious embarrassment for the U.S., and as top officials try to protect their agencies and their reputations, they are not sticking with their talking points,” a former senior U.S. official told The Cable. The article must be seen to be appreciated . 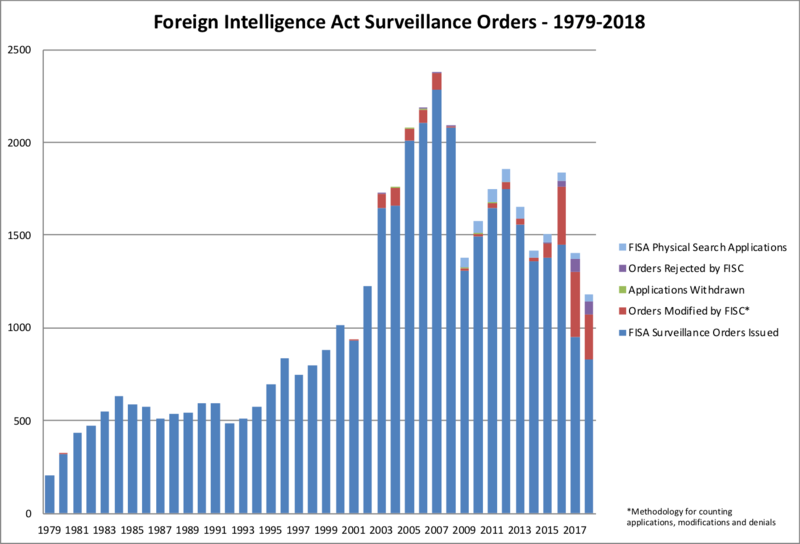 It is comprised of more information than any blog post could possibly hope to capture along with multiple graphs , tables and links that help the reader come to understand what kind of surveillance nation the US has become . ” The National Security Agency spied on the future Pope Francis before and during the Vatican conclave at which he was chosen to succeed Benedict XVI, it was claimed on Wednesday. The American spy agency monitored telephone calls made to and from the residence in Rome where the then Archbishop Jorge Mario Bergoglio stayed during the conclave, the secret election at which cardinals chose him as pontiff on March 13. The claims were made by Panorama, an Italian weekly news magazine, which said that the NSA monitored the telephone calls of many bishops and cardinals at the Vatican in the lead-up to the conclave, which was held amid tight security in the Sistine Chapel. The information gleaned was then reportedly divided into four categories — “leadership intentions”, “threats to financial system”, “foreign policy objectives” and “human rights”. At that time, Benedict XVI was Pope, suggesting that the Vatican may also have been monitored during the last few weeks of his papacy. The allegations follow a report on Cryptome, a website that gathers intelligence on surveillance and national security, which claimed the US intercepted 46 million telephone calls in Italy between Dec 10 2012 and Jan 8 January 2013. ” On October 26, 2013, protesters from across the political spectrum gathered in Washington, D.C. to take part in the Stop Watching Us rally, a demonstration against the National Security Agency’s domestic and international surveillance programs. Reason TV spoke with protesters – including 2012 Libertarian Party presidential candidate Gary Johnson and former Congressman Dennis Kucinich – to discuss the rally, why people should worry about the erosion of privacy, and President Barack Obama’s role in the growth of the surveillance state. Produced by Joshua Swain, interviews by Todd Krainin. ” The US National Security Agency has spied on French diplomats in Washington and at the UN, according to the latest claims in Le Monde newspaper. NSA internal memos obtained by Le Monde detailed the use of a sophisticated surveillance programme, known as Genie. US spies allegedly hacked foreign networks, introducing the spyware into the software, routers and firewalls of millions of machines. It comes a day after claims the NSA tapped millions of phones in France. Obama’s list of “Smart Diplomacy” victims continues to grow . Now France joins the ranks of Mexico , Germany and Brazil . ” The NSA has been systematically eavesdropping on the Mexican government for years. It hacked into the president’s public email account and gained deep insight into policymaking and the political system. The news is likely to hurt ties between the US and Mexico. The National Security Agency (NSA) has a division for particularly difficult missions. Called “Tailored Access Operations” (TAO), this department devises special methods for special targets. With friends like US , who needs enemies ? This must be more of that “smart diplomacy” we were promised . Add Mexico to the list with Brazil and Germany of former allies sure to take a much different view of the US than used to be the case . ” The National Security Agency has been collecting contacts from people’s personal e-mail address books and instant messaging accounts in an effort to detect relationships that might be crucial to government security, the Washington Post is reporting. The agency is collecting the data from overseas points and many of the contacts belong to Americans, the Post reports. The Post bases its report on word from senior intelligence officials and top secret documents, including a Microsoft PowerPoint presentation, provided by former NSA contractor Edward Snowden..
” Brazilian President Dilma Rousseff has scrapped a scheduled state visit to the White House amid Brazilian outrage over news that the U.S. spied on her and a Brazilian oil company. The cancellation of the Oct. 23 visit is the first public diplomatic fallout prompted by the revelations of National Security Agency spying and represents a serious rift between the two economic powerhouses and trading partners. Obama has sought repeatedly to allay Brazil’s concerns, meeting privately with Rousseff at an economic summit in St. Petersburg, and dispatching several top members of his administration to speak to the Brazilians. Obama spoke with Rousseff by phone Monday, and White House spokesman Jay Carney said they agreed to postpone the state visit – which would have been the first of Obama’s second term. But the Brazilian government said Tuesday the issue has yet to be resolved to its satisfaction. ” Brazilian President Dilma Rousseff has canceled a state visit to Washington in October over reports that the United States spied on her personal communications and those of other Brazilians, a leading Brazilian newspaper reported on Tuesday. Rousseff, who was infuriated by the spying reports, decided to cancel despite a 20-minute telephone call from President Barack Obama on Monday night in a last-minute attempt to salvage the trip, O Globo newspaper said. Rousseff is expected to announce whether or not she is going to Washington at a news conference later on Tuesday. ” John Schindler, a National Security Agency veteran and now a professor at the Naval War College, tweeted out a series of what he calls Spy Rules today that we consider a must read. Schindler spent ten years in the NSA as an analyst and counterintelligence officer, and has been outspoken about the Snowden leaks – particularly because he contends that spying on foreign countries is a legitimate form of government. ” When NSA Director Keith Alexander appeared at the Las Vegas security conference Black Hat Wednesday morning, he hoped to mend the NSA’s reputation in the eyes of thousands of the conference’s hackers and security professionals. It didn’t go exactly as planned. ” The foregoing principles discussed in Part I of our analysis vitiate any allegation of criminal conduct by Snowden resting on his alleged contractual duties to the NSA. His disclosures of NSA documents were certainly “unauthorized disclosures” as has been charged, but there is no reason that any government authorization should be required. Indeed, it is quite absurd to suggest that government permission should be required to disclose evidence of government criminality. But what of the remaining property-based claim that Snowden’s actions involve the “theft” of government property? Read It All … part one , part two . ” The United States has bugged European Union offices and gained access to EU internal computer networks, according to secret documents cited in a German magazine on Saturday, the latest in a series of exposures of alleged U.S. spy programs. 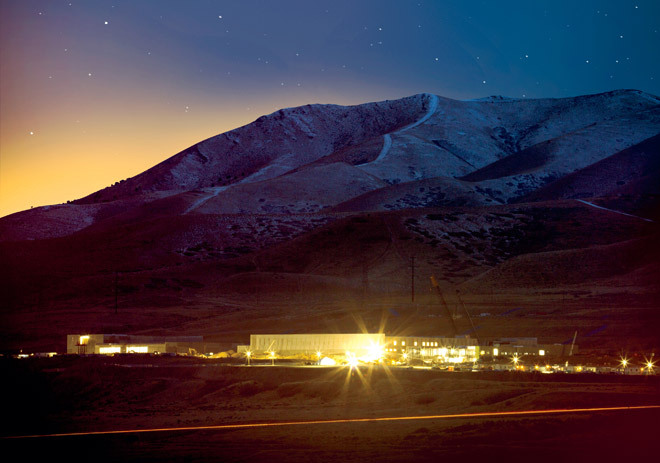 ” Under construction by contractors with top-secret clearances, the blandly named Utah Data Center is being built for the National Security Agency. A project of immense secrecy, it is the final piece in a complex puzzle assembled over the past decade. Its purpose: to intercept, decipher, analyze, and store vast swaths of the world’s communications as they zap down from satellites and zip through the underground and undersea cables of international, foreign, and domestic networks. The heavily fortified $2 billion center should be up and running in September 2013. Flowing through its servers and routers and stored in near-bottomless databases will be all forms of communication, including the complete contents of private emails, cell phone calls, and Google searches, as well as all sorts of personal data trails—parking receipts, travel itineraries, bookstore purchases, and other digital “pocket litter.” It is, in some measure, the realization of the “total information awareness” program created during the first term of the Bush administration—an effort that was killed by Congress in 2003 after it caused an outcry over its potential for invading Americans’ privacy. While this article is a couple months old we thought it more relevant than ever given recent revelations of the NSA demanding ALL Verizon phone records . We are in a battle for our privacy and the adversary is not international … no , the enemy is our own government . We are paying for the weapons of the destruction of liberty . Our fore-fathers would be appalled . The federal government makes King George look like a benevolent uncle in comparison . ” The Justice Department sought the authority to spy on several thousand “United States persons” in 2012, according to a letter the department recently sent to Senate Majority Leader Harry Reid. “These sought information pertaining to 6,233 different United States persons,” wrote Principal Deputy Assistant Attorney General Peter Kadzik in the letter.